Say hello to OpenSite Designer. Bentley System’s new comprehensive site design application that is changing the game for the Site Design Industry. Join Senior Product Manager David Settlemyer, P.E., as he reveals the benefits of OpenSite Designer and how its new innovative technology will advance the project delivery of site development projects of all types, large or small. Don’t miss this opportunity to learn how you can rapidly develop site designs, mitigate risk, lower construction costs, and meet all your project requirements. As seen in the April 2019 issue of Informed Infrastructure magazine. A major issue facing the construction industry is out-of-date and generalized specifications that allow for inferior or unsuitable erosion control products on their projects. Specifying appropriate erosion control solutions is essential for project success, sustainable vegetation, and notice of termination. With numerous erosion control solutions available, it is pertinent that site conditions are considered when defining appropriate erosion control measures. The presented specification tool incorporates new industry technologies and will be demonstrated to select and specify appropriate erosion control measures. Utilizing this specification builder will ensure the products specified are customized by the designer to meet unique project needs. Unbound aggregate materials are the largest transportation infrastructure asset for most state and local Departments of Transportation (DOTs). This asset is used in road bases and subbases as well as for surfacing of unpaved roads. Unbound aggregate layers also are the most vulnerable transportation infrastructure, as these layers are subject to premature failure due to deterioration, contamination and adverse hydraulic conditions. These “out of sight, out of mind,” underappreciated and often under-engineered layers are the subject of this PDH article. The loss of support of unbound aggregate results in full-depth reconstruction, a total loss of the aggregate assets, and road downtime with traffic congestion and construction-related traffic accidents. Readers will be shown improved best-management design practices and how to preserve unbound aggregate assets to enhance the performance of these layers. Use of the correct aggregate and a separation/stabilization geotextile can construct a Permanent Road Foundation (PRF) so full-depth reclamation and total reconstruction may be avoided. The quality of aggregate enabled by the selection of the proper geotextile will maximize the cost effectiveness of these now-permanent road layers. As seen in the February 2019 issue of Informed Infrastructure magazine. In this wecast, we will discuss and demonstrate the latest tools to model, measure, and report on earthwork and quantities in OpenRoads Designer. You will see how to create and analyze a 3D earthwork model and report on the results. We will look at several methods of capturing and reporting quantities, including component quantities, element quantities, end area volume, and by named boundary. This session will cover the practical tools and techniques you need to maximize productivity! The term “wildlife crossing” describes a variety of structures that are designed or retrofitted to provide safe passage for wildlife above or below a highway. Although wildlife crossing structures are not standardized designs, they can be categorized as two major types: overpasses and underpasses. Structures often are built in combination with fencing to increase their effectiveness. Each crossing is designed to serve the target species for a specific location or accommodate the majority of species in an area. When wildlife crossing structures are designed for motorist safety, the target species typically are large ungulates such as moose, elk or deer. Other wildlife crossings are designed for species with high conservation concern, such as salamanders, desert tortoises, flying squirrels or kit foxes. As seen in the Nov/Dec 2018 issue of Informed Infrastructure magazine. Months of design, pages of specifications, and tens or even hundreds of thousands of dollars may go into the design of a single bioswale, filtration basin or other stormwater treatment system. So why do engineers spend so little time thinking about the flow-control devices that make them work? This article focuses on the design of external stormwater diversion structures—an integral component of a complete stormwater management system. As seen in the Sep/Oct 2018 issue of Informed Infrastructure magazine. Designing ADA-compliant wheelchair ramps for installation in new or rehabilitated roadway intersections is a common task for civil engineers and other designers. Common, but not routine; adapting the ADA guidelines to particular situations can be tedious, and it’s very possible to make mistakes that lead to change orders and rework. In fact, non-compliant ramps are so common that redesigning ramps for reconstruction also is a common task for designers. As seen in the September/October 2018 issue of Informed Infrastructure magazine. Helical piles are being used in seismic regions of the U.S. and other countries, yet there remains much confusion regarding the state of practice and building codes for this pile type. Nonetheless, it is anticipated that piles with comparatively small cross-sections and high anchoring capacity, such as helical piles, could be beneficial for seismic resistance due to their slenderness, higher damping ratios, ductility, and resistance to tip uplift. Results from the premier full-scale seismic shake table testing program on helical piles in sands will be discussed. Culvert replacements are a common reality for all owners of drainage infrastructure and a routine part of maintenance and expansion projects on federal lands, roadways and railroads; state department of transportation (DOT) roadways; and at the local level with county, township and municipality owned transportation corridors. Fortunately, culvert rehabilitation via relining has gained momentum as a viable alternative to culvert replacement when dealing with aging drainage infrastructure. Whether an owner of a culvert wants to take a traditional design and delivery approach or conduct the work themselves, the construction methods of many reline options can be performed by parties whose normal work activities don’t include reline construction. In addition, most methods can be performed by in-house maintenance teams or entities who do more traditional open cut drainage work. As seen in the May/June 2018 issue of Informed Infrastructure magazine. Project complexity and cost often grow in tandem. Both can be mitigated by the early selection and detailed engineering of the structural steel building system. This course, developed as an easy-to-read article, will give you a working knowledge of structural steel building systems and the ways to drive down the various costs of complexity, regardless of scale. You just have to use the right tools. Join Shafat Qazi, CEO & founder of BQE Software, to understand how business intelligence opens up a whole new world of possibilities for engineering firms and how to harness its power. You’ll discover practical applications of cutting-edge technology that will both boost short-term profits and position your firm as a front-runner in the years to come. Plus, Qazi will introduce you to BQE Software’s award-winning innovation, BQE Core. 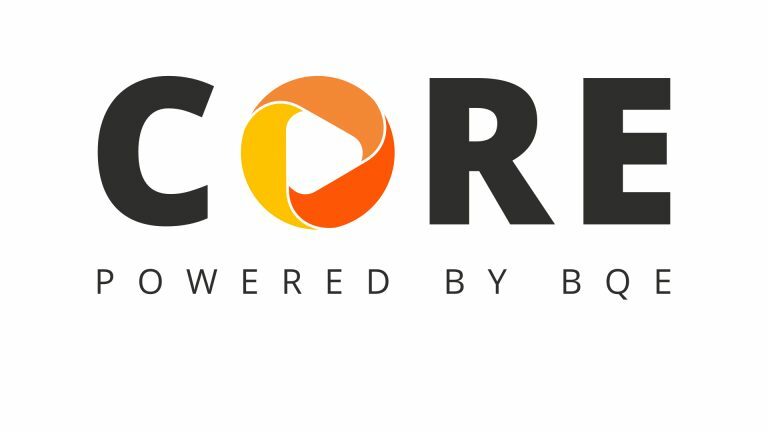 You’ll see how principals, partners, CFOs, and project managers are using platforms like Core to streamline their daily tasks, gain a distinct competitive advantage, and grow their companies like never before. There are an increasing number of commercial and structural media-based filtration systems available to engineers and regulators to meet the need for effective and space-efficient stormwater treatment. As part of the due-diligence process, these individuals must understand and evaluate the design, functionality and ongoing operational requirements of the systems. This paper addresses fundamental media filtration evaluation criteria that, when taken together, provide a framework for comparing and contrasting different stormwater filtration systems. Consideration of these criteria is recommended prior to specifying or approving a system. As seen in the March/April 2018 issue of Informed Infrastructure magazine. Engineers are tasked to provide solutions for infrastructure challenges in the most efficient manner possible. One must balance standard practice with innovation to constantly improve effectiveness and efficiency. Rock riprap is an accepted traditional solution for erosion control and slope stabilization, but there are other alternatives. Engineered Earth Armoring Solutions™ (EEAS) are environmentally friendly and economical erosion control solutions designed to provide significant hydraulic performance improvements over rock riprap. An EEAS consists of a High Performance Turf Reinforcement Mat (HPTRM) in combination with Engineered Earth Anchors™ (earth anchors), and is designed to meet a project’s hydraulic, geotechnical, design life, environmental and economical needs. As seen in the January/February 2018 issue of Informed Infrastructure magazine. Join us for this webcast as we address best practices for integrating green infrastructure into stormwater designs and Post-Construction BMP strategies. Bill Wood, PE, and John Helfrich, PE, ENV, SP, Associate Civil Engineers for SmithGroupJJR, will present a case study on green infrastructure at Loyola University Chicago’s Lake Shore Campus: Restoring Hydrology through Campus Redevelopment. Chad W. Brensinger, PE, LEED SP, Project Manager at Charles E. Shoemaker, Inc., will present a case study on an automobile dealership development in Willow Grove, PA. The presentation will cover stormwater best management practices used at the dealership to provide several levels of water quality and flow reduction to minimize local stormwater runoff issues, localized flooding and stream bank erosion. Some engineers may be scared off from designing with Hollow Structural Sections (HSS) because they think—or have been led to believe—that HSS construction is too expensive. In actuality, HSS members can be very price-competitive with wide flange construction if the engineer keeps in mind certain things during design. The following information will give designers the knowledge to specify efficient HSS designs. As seen in the November/December 2017 issue of Informed Infrastructure magazine. It doesn’t matter how big or small, simple or complex your structural project is, adopting BIM workflows pays off. Find out how adopting the BIM workflow is easier than ever with integrated physical and analytical modeling. The most modern structural technology is bringing efficiency to the forefront for engineers with new tools for interoperability, increased collaboration, and advanced analytics for improved insights into your next project. Learn how cutting-edge desktop applications and cloud services for structural engineers can take your work to the next level and give you the competitive advantage you need to meet the industries challenging demands. Reduce errors, reduce rework, and cut constructions costs. Find out how to shorten your project delivery time and produce the safest, most economical designs. Let’s face it. Stakeholders are demanding 3d bridge models more than ever before. Between gaining stakeholder approvals with visualizations and the uncertainties of performing a multitude of disconnected and redundant tasks, reworking tedious calculations and spending time updating plan sheets when unanticipated design changes occur, adopting BIM is a must. Learn how to avoid these uncertainties and become more competitive, efficient and collaborative. Join this technical webcast to learn how to improve bridge design and analysis and integrate it with roadway designs and existing infrastructure using the most advanced software! Bentley bridge expert, Sri Kanneganti, will show you the benefits of working in a common data environment from concept and modeling to design and analysis, straight through construction, and beyond for a unified workflow throughout the entire project lifecycle. This webinar is full of information that you don’t want to miss. The following will give you a working knowledge of today’s range of steel building systems, the market trends that are driving them, and the prevailing design and engineering criteria used for systems comparison and selection. As seen in the July/August 2017 issue of Informed Infrastructure magazine. Integrating multiple disciplines is critical to ensuring constructability, cross discipline design review, conflict resolution, and mitigating risk before construction. OpenRoads Designer employs a comprehensive modeling environment that enables designers and engineers to share relevant project data to gain visibility into the project which helps to make better engineering decisions. This innovative application supports all aspects of a detailed roadway design including reality modeling, geotechnical, drainage, subsurface utilities, terrain, road, roadway furniture, and more. In today’s bridge practice, finite element modeling (FEM) is becoming more popular every day. With its superior accuracy and simulation of the structural behavior, FEM is replacing the conventional methods, namely line girder and grillage analysis. Additionally, steel tub-girder bridges are becoming more commonly used due to their advantages over other superstructure types in terms of torsional stiffness, span range, durability and aesthetics. As indicated in many resources, including National Cooperative Highway Research Program (NCHRP) reports, FEM is the most appropriate method for tub-girder bridge analysis. This webinar will cover the advantages of using FEM for steel bridges and the advantages of tub-girder bridges. It’s been said, the only constant is change! As our industry’s processes, workflows, and technologies evolve to meet time and budgetary constraints, OpenRoads Designer offers a broad set of tools and a comprehensive modeling environment that allow design professionals to utilize new technology and easily incorporate new forms of data, all while interactively designing in a model that’s parametrically enabled by their own design intent. The two essential functions of a stormwater management system are to control the 1) quality and 2) quantity of runoff leaving a site. There are various ways to do this; a common method is with an aboveground system in the form of a detention pond, but these take up usable land space. This is not a major issue in rural areas, but in urban environments, land space is expensive, and a loss of land space results in lost revenue. As a result, engineers and developers often turn to underground solutions, which take many forms. One of the most common is an underground detention system made from corrugated metal pipe (CMP). These systems are employed on a site to reduce the quantity of stormwater runoff leaving a site by temporarily storing the runoff that exceeds a site’s allowable discharge rate and releasing it slowly through time. Designing CMP detention systems is a complex task. This article is not intended to be a complete design guide; it is intended to address three questions engineers often have regarding designing CMP detention systems. As seen in the May/June 2017 issue of Informed Infrastructure magazine. Pipe stiffness in the pipe industry is a standard test that is performed on actual pipe samples to determine their ring stiffness. Many product specifications in the pipe industry require a minimum target pipe stiffness be achieved as a requirement for that standard. As seen in the March/April 2017 issue of Informed Infrastructure magazine. Dams are called “installations containing dangerous forces” in International Humanitarian Law; there is potential for great destruction to people, property and the environment in the event of a dam failure. The forces that make dams dangerous also provide essential benefits such as drinking water, flood control, power production, irrigation and recreation. Holding a balance between destructive forces and essential benefits lies, to some degree, in protecting the dam from soil erosion when an overtopping event occurs. As seen in the January/February 2017 issue of Informed Infrastructure magazine. Join the webcast to see how you, other project team members, and clients can work through and evaluate multiple viable alternatives quicker than ever before. OpenRoads ConceptStation allows users of all backgrounds to efficiently and rapidly sketch out roadway designs, which will not only return immediate cost feedback, but also render in a real-time immersive environment. You can also include your project’s real-world existing conditions and true traffic simulations to help facilitate better communication and decision making in working towards your optimal design. Planners, engineers, designers, managers, and even contractors can all now evaluate more options during their respective (planning, preliminary design, and pre-bid) phases of the project. As the engineering industry continues to move to reality-based modeling platforms, next-gen products from multiple vendors are becoming more widely used. In this webinar Autodesk’s InfraWorks will go head to head with Bentley’s OpenRoads ConceptStation in a comparison of the features and functions that matter most to you. Presented by industry experts with years of experience, you’ll see first-hand how these products stack up and you’ll get insight into which is best for you. Although it should not be acceptable that infrastructure still gets a grade of D+, the fact remains that there is a funding gap. The first step to addressing this gap is BIM. BIM can protect taxpayers from waste and would help to stretch limited federal appropriations. There is evidence the industry is moving toward a BIM approach as Dodge Data & Analytics details in the 2017 Value of BIM in Infrastructure SmartMarket Report. Join this webcast to get a first look at the report and hear a discussion on what must happen to address the infrastructure gap for projects today, and what must be considered to support infrastructure systems of the future. Today’s broad range of structural steel building systems presents an expansive design portfolio to building owners, architects and structural engineers. This course reviews the cost and performance based criteria for system selection, range of system types, finishing options, and questions of sustainability. Helical piles and anchors have been used in construction applications for more than 175 years. The first recorded use of helical piles was in 1836 by Alexander Mitchell in England. The helical pile industry has seen substantial growth in the last 20 years as most practicing engineers have recognized the strength, versatility, and many applications of the system. The popularity of helical piles has grown so much, the International Code Council (ICC) established acceptance criteria AC358 for helical piles in 2007. ICC inducted helical piles into the International Building Code in 2009. However, helical piles were barely mentioned in undergraduate and graduate civil engineering studies. The presentation will cover the design, applications, and building code requirements of helical piles. Engineered bioretention media is optimized to filter and/or infiltrate stormwater runoff through a plant-soil-microbe complex. A successful bioretention installation involves oversight—not just onsite, but having a framework in place for transferring raw materials to a blended, commercially installed product. Read this “instruction manual” on how to successfully implement a bioretention media strategy. Then take the accompanying quiz to receive continuing education credit. As seen in the November/December 2016 issue of Informed Infrastructure magazine. Drone technology is improving rapidly, and it is becoming a common part of infrastructure workflows. But ordering and flying a drone to collect data, although cheaper and easier than previous methods, is still a costly expense, and it can be wasted if project teams don’t know what to do with the data after they’re collected. This webcast will detail how to import ContextCapture models into SITEOPS to create surface models of existing conditions that can be used quickly and efficiently before, during and after the project work. Attendees will Learn how to export SITEOPS design and ContextCapture data to LumenRT to create unmatched 3D visualizations; discover how SITEOPS, ContextCapture and LumenRT workflows allow users to look at more design options in less time than ever before; and learn how to illustrate to stakeholders how your project design will impact the surrounding community. The featured speaker will be David Settlemyer, P.E., the senior product engineer of SITEOPS for Bentley Systems, and the webcast will be beneficial for DOTs, land-development professionals, project managers, civil and structural engineers, consulting engineers, design professionals, contractors, and public and transportation officials. Get more out of your 3D bridge model. 3D bridge models with Bentley’s OpenBridge Modeler go beyond traditional visualization. Create your 3D bridge model and use it through structural design, analytical calculations, and more with OpenBridge Modeler. OpenBridge Modeler reads and references information from roadway and survey teams to create a 3D model of the structure taking the surrounding infrastructure and environment into consideration. Building Information Modeling (BIM) has certainly been in the recent design and construction news for use in everything from simple interference detection to more elaborate uses like coordination war rooms and 4D and 5D visualization. Most of these case studies involve particularly large scale projects with significant coordination issues and fast schedules. But can that same BIM process be leveraged for tilt-up design and construction to add value to our projects in a meaningful, yet cost efficient way. Fitzpatrick Engineering Group has been using BIM for design of steel buildings since 2006. In 2012, we changed the way steel is delivered to our projects by leveraging our structural design data early in design and shortened delivery of steel to our projects by eight weeks. In 2014, we brought those processes and concepts to our design of tilt-up buildings. The need for accelerated project delivery requires successful civil and transportation designers to jump start projects with real-world data, rapid conceptual designs, and better decision making processes. Join the webinar to see hear Kevin Schlereth, PE, Principle Technologist, HNTB, discuss how HNTB uses OpenRoads ConceptStation to increase design productivity, identify potential high-risk items, and minimize project development costs. OpenRoads ConceptStation combines engineering modeling tools with associated costs to facilitate better decision making in the conceptual design phase. Engineers and designers, like Kevin, are able to evaluate more options during the planning and pre-bid stage of the project to help differentiate their firm from the others. This webcast follows the completion of a benchmarking study that assessed the combined workflows between AutoCAD Civil 3D and InfraWorks 360. Our presenters will discuss the different steps in a typical civil infrastructure project workflow where the combined strengths of these products save time and improve design outcomes. The practitioners will relate how they gain new insights, speed design work and improve on stakeholder outreach and communication with clients. Presenters will share anecdotes from project work along with lessons learned. This benchmarking study discusses the workflow between AutoCAD Civil 3D and InfraWorks 360 and how they are being used alongside one another in daily practice. Our reviewers use the software on a daily basis, producing work for civil engineering projects and pushing the software through its paces on a wide variety of projects. As seen in the May/June 2016 issue of Informed Infrastructure magazine. Hot-dip galvanizing has been used as a means of corrosion protection for more than 150 years, and new technologies and creative chemistries continue to evolve the coating. As FHWA, state DOTs, and local municipalities strive to build the 100-year bridge, what role does hot‑dip galvanizing play? When best design practices are followed, hot‑dip galvanized steel can provide a sustainable and cost effective 100‑year bridge life. This webcast will explore some of the specific design practices to avoid pitfalls such as warpage and distortion and connection points, as well as address new research on galvanized slip critical connections and the final report of the galvanized bolts on the Bay Bridge in Oakland, CA. This PDH looks at an ongoing project taking place at California’s Salton Sea, which demonstrates that using cutting-edge remote sensing techniques to analyze and monitor land surfaces and air quality can be both challenging and fascinating. Formation Environmental (FE) is working with the Imperial Irrigation District and other multi-disciplinary team members in modeling, monitoring, and mitigating the effects of the 2003 agreement that will transfer 303,000 acre-feet of newly conserved water annually from agricultural to urban use. As seen in the January/February 2016 issue of Informed Infrastructure Magazine. The Salton Sea Air Quality Program is focused on monitoring and mitigating dust emissions from exposed Salton Sea playa. Remote sensing is a key component of this program, and will be used to map playa surfaces, vegetative cover, and active dust source areas. Learn how satellite, aerial and UAV images all contribute to this effort and how they are being processed using Trimble eCognition image analysis software. The presentation will also discuss dust control pilot projects, such as Surface Roughening, and the remote sensing techniques used to inform design and evaluate dust control effectiveness. Although structural engineers aren’t first responders, they’re well equipped to assess whether or not it’s safe for people to return to homes, businesses, schools and critical-services buildings. Miyamoto International Inc. is quick to respond to major earthquakes with recent experience in Haiti, Japan, New Zealand and Nepal. Read this fascinating report of lessons learned along with the cutting-edge techniques that are being deployed. As seen in the September/October 2015 issue of Informed Infrastructure magazine. This PDH takes stock of the current adoption of BIM for civil projects and documents some of the advantages of BIM for transportation projects and practice. There are beneﬁts along the lifecycle of an asset, which translates to growing acceptance of BIM for new projects as well as ongoing operations. As seen in the July/August 2015 issue of Informed Infrastructure magazine. The movement toward building information modeling (BIM) for civil projects is taking hold worldwide. Firms and project managers that have made the leap are reaping rewards by winning new work and managing projects with more efficiency. Owners are making the move to mandate BIM for projects, given better cost controls and improved project quality. In this Webcast, our presenters will discuss the ways in which BIM has made an impact, and specifically how project managers can advance their work and their careers with the conceptual, analytical and visionary tools that BIM provides. Our presenter will share some of the rewards they’ve seen that have advanced workflows, and outline the approaches improving their ability to deliver projects more quickly with more control on costs. How do countries reduce earthquake disaster risk to achieve maximum resiliency? In the aftermath of major earthquakes, how have different nations overcome the incredible challenges of disaster reconstruction? Are we doing enough to be prepared? Listen in as Dr. Kit Miyamoto, S.E., CEO of Miyamoto International and a California Seismic Safety Commissioner, shares lessons learned from his personal experience on the ground in the immediate aftermath of major seismic events. Hear his firsthand accounts from his experiences responding to earthquakes including Gorkha – Nepal 2015, Tohoku – Japan 2011, Christ Church – New Zealand 2011 and Leogane – Haiti 2010. Learn how government policies can impact the nation’s resiliency. Fueled by an improving national economy and design climate as well as a pent-up demand for industry ownership transition, A/E M&A activity has seen a resurgence of buyers and sellers. Whether though global mega-combinations or mid-sized mergers, the underlying structural forces impacting consolidation and competitive positioning remain intact. How will it all shake out? In this webinar presentation, Steve Gido, Principal of ROG+Partners,will assess the current M&A environment, highlight recent notable transactions, analyze valuation trends, and discuss the health of the M&A market heading into 2015. This linear process obviously calls for a lot of data transmittal, interpretation and recast-ing in different formats — it’s a workflow derived from paper-based practices going back decades. And it’s become apparent that the process fails to capture the savings and efficiencies made possible by modern design practices based on 3-D models. The process of preparing the fabrication package for steel buildings has remained essentially unchanged for 30 years. Alternative construction methods like design-build, Integrated Project Delivery, and early fabricator involvement have shortened the delivery of steel to the job site but have not made the process more efficient.